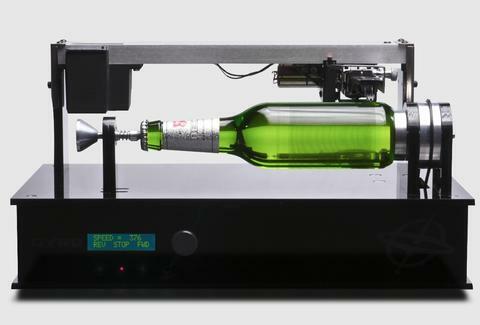 The Beck's bottle plays a single from the local band Ghost Wave on a custom-built machine that's based off Thomas Edison's original phonograph -- hence why it's been dubbed the "Edison bottle". Right now, only two of these bottles (and one player) exist, so unless you're planning a Lord of the Rings walk sometime in the near future, you'll have to get your glimpse through the impressive vid below. Hopefully, the next Edison can feature music from these New Zealand heroes.